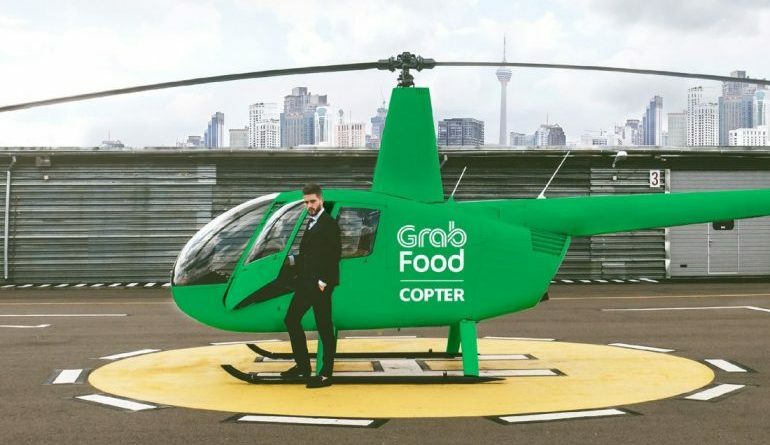 Those dreaming of getting food delivered by helicopter using Grab Malaysia’s GrabFoodCopter service will have those hopes crashed, as the company confirms it is an April Fools’ Day joke. In a video posted last Friday, GrabFood claimed the service would fly food over the border from Singapore to Malaysia, so traitorous Malaysian foodies could enjoy their meals judgement-free. Grab was looking for 1,500 GrabFoodCopter beta testers, and intended to launch it on April 1. “Happy April Fool’s Day! We’re not really launching GrabFoodCopter, but we’re still seriously into satisfying your every craving for awesome Malaysian food,” says GrabFood, on its Facebook. However, those first 1,500 beta-tester sign ups will be rewarded with a 40 per cent discount on one order using a promo code emailed to them. “At GrabFood, we love our pranks almost as much as we love our food – no hard feelings? GrabFoodCopter may not exist (someday, perhaps? ), but we are completely serious about satisfying all your cravings,” it adds. For those whodidn’t sign up, they can still get free delivery by using the promo code NOJOKE. This only applies with a minimum RM20 (S$6.60) spend and for the first 5,000 redemptions daily. While Malaysians on Facebook were mostly suspicious of the service due to its launch date, many argued about eating Singaporean food, a sentiment tied to long time national competitiveness over cuisine shared among the neighbouring countries.